What was your first experience as an entrepreneur and how did it shape you current entrepreneurial experience with Imovation Solutions? Jason’s experience in both the entertainment and promotional industries throughout his high school years has allowed him to understand the needs of users and how these needs can most efficiently be met. When you decided that this was a startup you wanted to launch, who were some of the first people you contacted and why did you contact them specifically? We are very fortunate to be a part of a prestigious tight knit community. Our parents, professors and our friends have provided invaluable assistance to the process thus far. We are always looking to partner with positive individuals and groups who can contribute value to our organization. 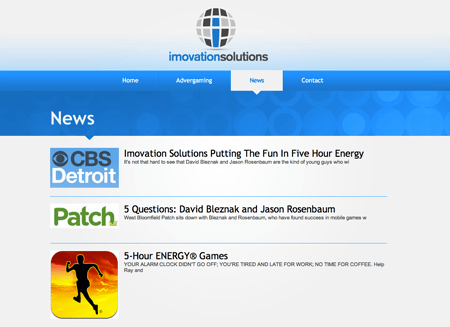 How did you go about funding Imovation Solutions at launch? Imovation Solutions, LLC is a self-funded business. What’s one thing you wish you would have done differently when launching Imovation Solutions? What advantages are there from being based in Michigan? Growing up in Michigan has inspired us to support the revival of Detroit and the rest of the state alike. The existence of this city relies heavily on the need for growing businesses. Imovation is one of these growing businesses. In your own words, tell me the best thing about your app. 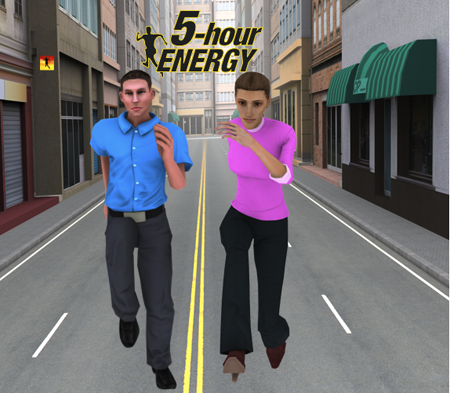 5-hour ENERGY®: Work Day MARATHON is fun, easy, and addictive. We spent months perfecting it and will continue to release new updates as they are created. 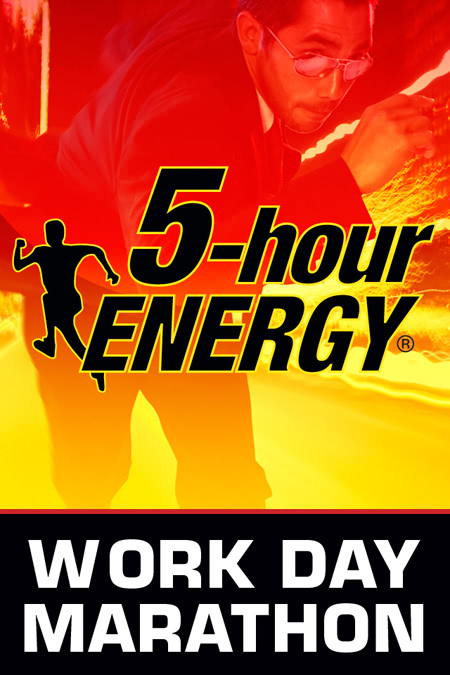 Users are also given the opportunity to win real prizes (5-hour ENERGY® bottles and T-Shirts, and a Grand Prize Vacation) by simply registering your e-mail after downloading the app. What’s the vision for Imovation Solutions and how do you see that reflected the app? Imovation’s vision is to continue to create advergames for well-known companies with the intent of raising each company’s brand awareness and sales. 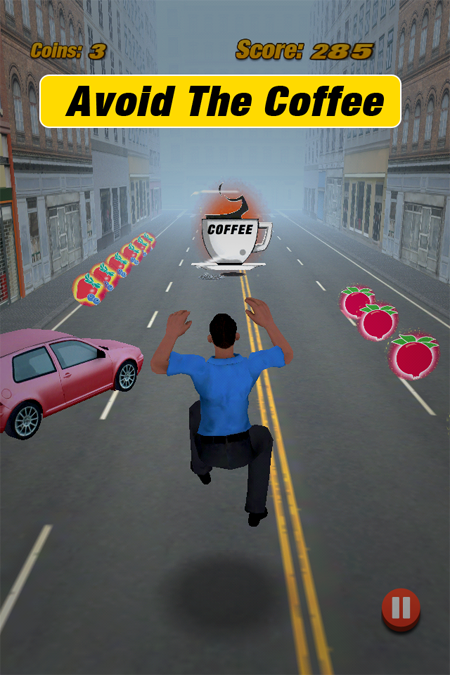 Most recently we have been working on branching out in the app world extending our expertise to different types of games, including augmented reality based apps. Can you describe your office and the company culture? We work in Birmingham, Michigan. We may be young, but we are ready to bring the heat. Our daily schedules rely on how much work we need to get done each day, but there have been many days where we are in the office from 7:00 AM to 10:00 PM. Has your app changed based on user feedback? Yes, absolutely, feedback is one of the most important tools and we adjust our game accordingly. What’s your daily routine from the time you wake up? Every day is different in this industry. We could tell you a story about how we wake up at 8:00 am every Monday, have our coffee (actually 5 hour ENERGY®), and then get to emails to start our day. Then we go over strategy and goals for the week, etc. This of course is not true and is exactly what we love about this industry. We never know when large organizations are going to have time to meet or what issue programmers may run into each day. The inconsistency keeps us on our toes and allows us to work hard at all hours of the day, every day of the week. What advice do you have for someone wanting to launch a startup? Research and plan. Spend a significant amount of time researching and planning your startup. Always have a back up and contingency plan as nothing in the business world works out perfectly as planned. How do you step away and relax from Imovation Solutions? When we aren’t working, David enjoys golfing and reading financial literature. He also appreciates a good movie and family dinners. Jason spends his relaxation time watching sports, working out, and spending time with family and friends. How can our readers get ahold of you? We can be contacted through the Contact Tab on our website.